Noho finished work earlier in 2016 on the NMI’s exhibition ‘Proclaiming a Republic: The 1916 Rising’ in the Riding School in Collins’ Barracks. 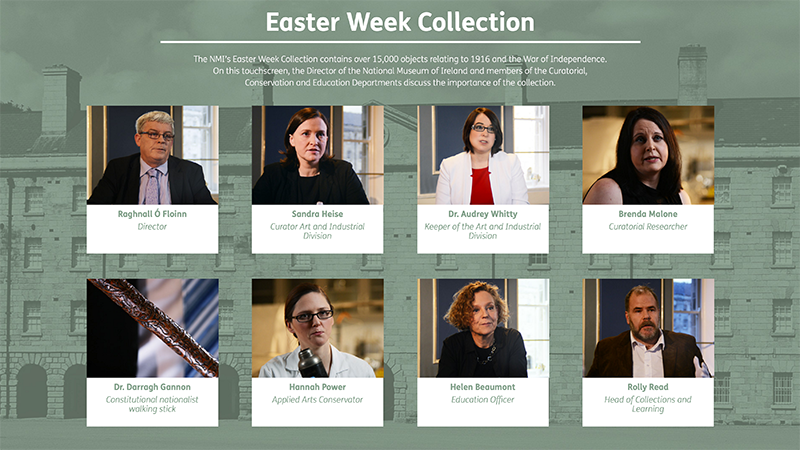 The exhibition provides a poignant, in-depth interpretation of the momentous events of that Easter Week, telling the story through an impressive collection of artefacts and personal accounts drawn from its Decorative Arts and History branch. Working to a tight deadline Noho delivered a wide range of AV content for the exhibition. This included a looped 10-minute soundscape reflecting a typical Dublin street in 1916, before and during the Rising. The piece plays in the first large exhibition space and features a wide range of sounds from horses, carts, street vendors and general ‘hustle and bustle’ to explosions in the distance and bullets whizzing by at close range. 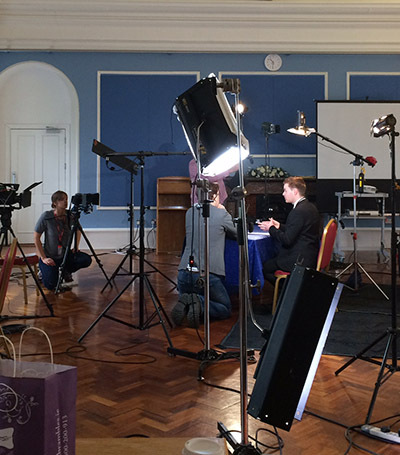 We also shot and produced a series of interviews with museum staff describing their favourite objects from the NMI’s extensive collection. This material was made accessible on several touchscreens within the exhibition. And we created projections that blend fascinating archive material with evocative design and interpretive text to create informative, engaging experiences for visitors. 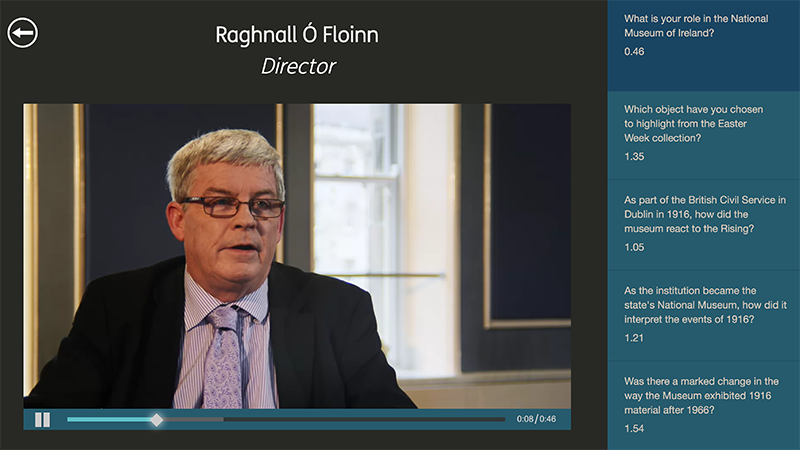 The AV content includes original, new material (such as the interviews) and archive content enhanced with motion graphics, such as a day-by-day ‘Rising Timeline’. This piece blends informative text with archive photos to provide visitors with an understanding of the key events of the period. The touch-screens feature a range of different interactions: from image and interview galleries to a detailed explanation of beliefs and ideologies that were held at the time. 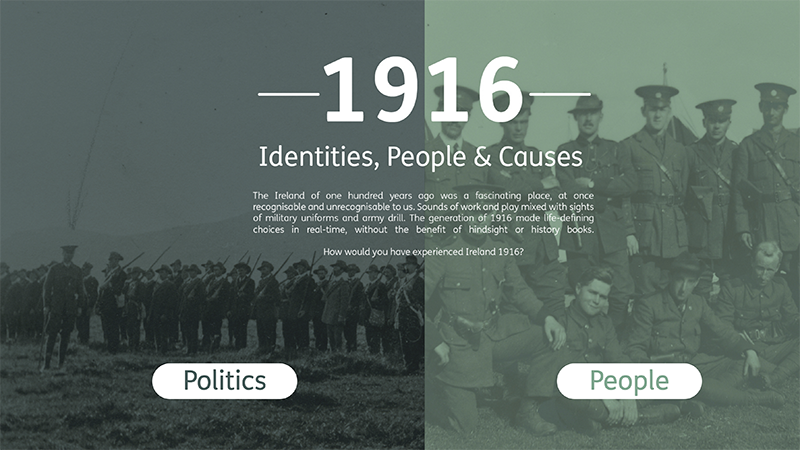 There is also a dedicated quiz interactive, produced in both English and Irish.